Foreign direct investment has contributed significantly in transforming the Chinese economy over the past three decades. China has become one of the most popular destinations for foreign direct investment. For corporations and business executives who desire to participate in the expanding China market, understanding correctly the driving forces and impacts of foreign direct investment in China, as well as the ways to smartly execute investment transactions there has become the fundamental knowledge that they need to grasp. This book is a combination of the author’s research and 15-year practical experience in managing investment transactions in China. 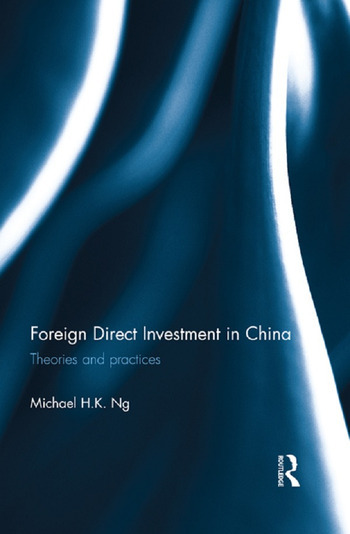 This book uniquely offers both a theoretical overview of the phenomenon of FDI in China (chapters two to four) as well as the practical steps in executing investment transactions there (chapters five to seven). The author also provides illustrative charts and tables, literature summaries, transaction templates based on case studies from his real-life experience on the ground. This is so far the only book on FDI in China which covers both the theoretical perspectives as well as practical advices in investments. This book serves not only as a useful resource for students, teachers and policy makers who are interested in both theoretical and practical aspects of FDI in China, but also a valuable guidebook for business development executives, investment professionals and transaction lawyers who are involved in direct investment deals in China on a daily basis. Michael H.K. Ng is Assistant Professor at the Faculty of Law of the University of Hong Kong. Prior to joining the academia, he has 15-year experience in direct investment in China. Apart from being an experienced commercial lawyer, he also previously served as the Chief Investment Officer of Hutchison Whampoa Group’s listed conglomerate and partner of a China-focused private equity fund. He specializes in cross-border mergers and acquisitions, direct investments, joint ventures and corporate finance transactions and offered graduate course on foreign direct investment in China at university. He also researches in legal history of China and Hong Kong. His works have appeared in the Journal of Comparative Law, the International Journal of Asian Studies and Hong Kong Law Journal, among others.